Stationary Scissor Lifts increase productivity and worker comfort by setting your BuildPro® table at the ideal height for each project. With a large, hand operated push button control and chip resistant powder coat finish. 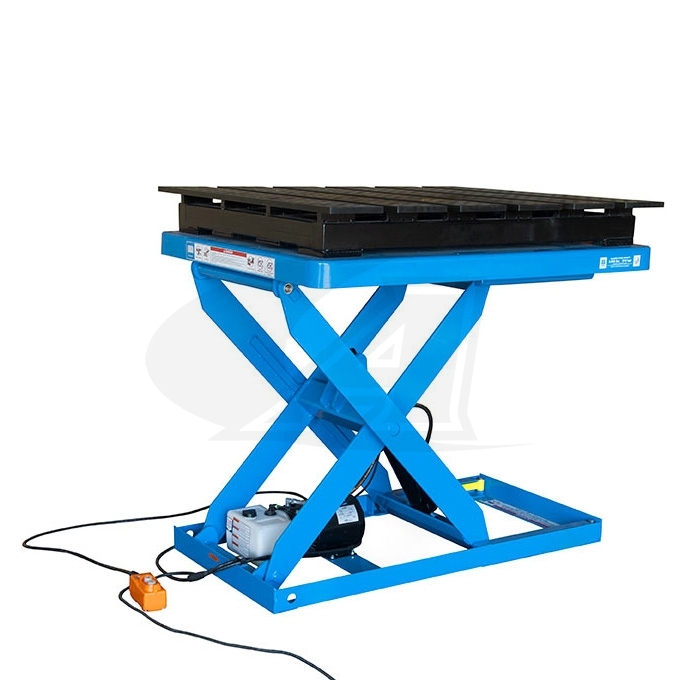 Quick-acting scissor lift platform raises loads up to 1,500 lb to from a range of 8.5" - 38.5" in height. Raises in about 24 seconds, and lowers in about 12 seconds. No Table Top Included 36" x 48"
For use with BuildPro®, Siegmund® System 16 Tabletops or other popular welding tables. Contact our Sales Team to request the Siegmund® Catalog. Free Shipping within the contiguous United States. For international shipments, customer pays all shipping, taxes, and fees.